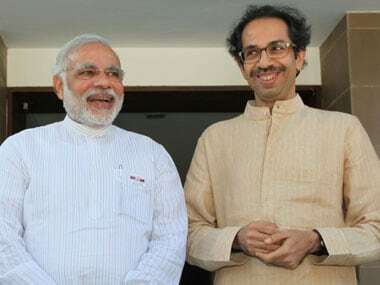 Mumbai: Shiv Sena president Uddhav Thackeray on Tuesday lauded Prime Minister Narendra Modi over the recent surgical strikes across the LoC even as he challenged its bickering ally BJP to break the ruling alliance ahead of the crucial civic polls in Mumbai. 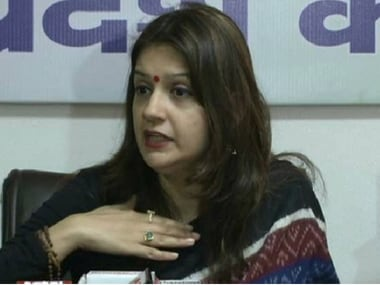 "From BJP, anyone gets up and speaks of contesting polls independently. The Chief Minister should first decide who is the leader. Don't stab us in the back. Fight from the front. Contest separately if you have the courage," he told Shiv Sena's 50th annual Dussehra rally at Shivaji Park in central Mumbai. "Break the alliance and we will show you our surgical strike," Thackeray said, in an apparent reference to BJP MP Kirit Somaiya's recent remark that BJP was all set to contest the Brihanmumbai Municipal Corporation polls, due early next year, independently. "Let anyone confront us in Mumbai civic polls. 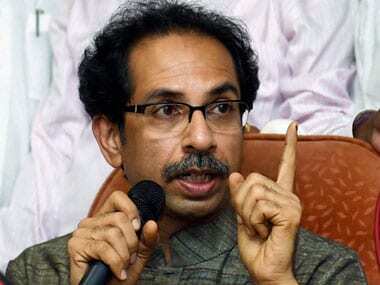 We will show them that Mumbai belongs to Shiv Sena and Shiv Sena belongs to Mumbai," he said. "Our bond with Mumbaikars is that of blood," he said, adding "We won't come after you (BJP) with a begging bowl." 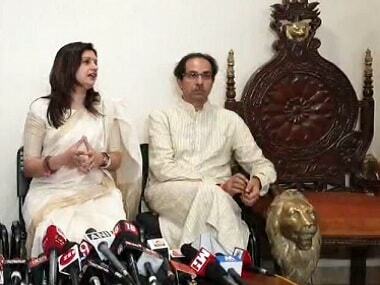 "For now you (Sena workers) don't think of alliance. We will take a decision on that, whatever that may be," he told the gathering. Stating that Modi fought with Pakistan like a man ("mard"), Thackeray congratulated the Indian Army and the prime minister for the surgical strikes. "After the strikes, I phoned Modi and told him, 'Narendrabhai, this is the Narendrabhai we want as PM,'" he said. 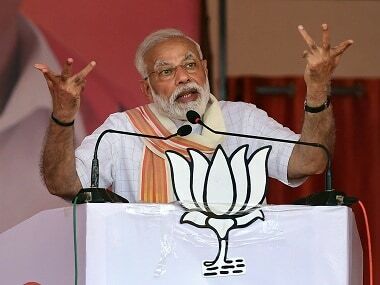 "Modi should now take such an action that not only PoK but entire Pakistan should be known as part of India," he said, adding, "Our Army has that much capability." Condemning those who questioned the veracity of the strikes, Thackeray said, "Those who said the strikes were fake have rotten brains and water of gutters of Lahore and Karachi and not blood flowing through their veins." "Did Rahul Gandhi learn of the 'khoon ki dalali' from Bofors (scam)?" he asked. "How can you show mistrust on Army while criticising Modi?" he said. "Those who show distrust for our brave soldiers may be offspring of Pakistan," he said. Thackeray asserted that he still defended the action of Sena workers who blackened the face of former journalist Sudheendra Kulkarni for organising a book launch for former Pakistan foreign minister Khurshid Mahmud Kasuri here last year. He also suggested that a war museum be set up on the sprawling Mahalaxmi racecourse grounds in Mumbai. Alleging religious discrimination in income tax raids, he asked, "Do they raid places in areas like Bhendi Bazar (a Muslim-dominated area in Mumbai?" "People voted them (BJP) based on their promise of 'achche din'. Now their leaders say 'achche din' is a 'gale ki haddi'. It has taken some time for people to get disillusioned (with the BJP-led government)," he said. Referring to the suggestion of simultaneous polls to state legislatures and Parliament, Thackeray said, "Hold simultaneous polls but ensure that the PM or CM don't campaign for it. If at all they campaign, they should campaign even for independent candidates." He said the Sena supported reservations based on economic criterion. Referring to the Maratha community's silent marches and its demand of quota, he said Chief Minister Devendra Fadnavis should not play with the sentiments of the agitators. "I request Maratha community to avoid any action that would demean their ongoing silent marches," he said. Reservations for Marathas should not eat into quota for others communities, Thackeray said, adding that Fadnavis should learn from Tamil Nadu Chief Minister Jayalalitha, who firmly supported her state's decision to offer reservations beyond 50 percent. Those misusing the SC/ST (Prevention of Atrocities) Act should be punished, he said. One of the demands of the Maratha protesters is scrapping of the act. The controversy about a cartoon on Maratha morcha in the Sena mouthpiece Saamana was unnecessary, he said. Thackeray had apologised for the cartoon when the controversy broke.